Today I am kicking off my Saturday Spotlight series with Union28. I am soo impressed with this company and I think it is fitting that they are the first to be spotlighted on Love, Actually. Union28 believes that you should celebrate your spouse in style! 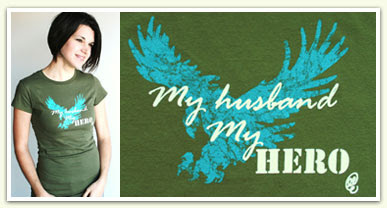 So, they created designer t-shirts for husbands and wives that display a positive image of marriage. "On our wedding day, we publicly declared that divorce would not be an option for us. We made a decision to love and we're sticking by it! Perfect love which requires no effort or skill is impossible..." *Ahem--here's where "Love, Actually" comes in! Of course...there are MANY more styles, colors, sizes, etc. etc. You've got to go check it out for yourself. Click HERE to see their products. 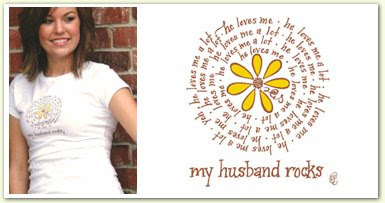 UNION28 Marriage Apparel is perfect for Wedding gifts, Honeymoons, Bridal Showers, Anniversaries, Christmas, Valentine's Day, Birthdays, or “I Love You” gifts. AND....all of my followers get a *DISCOUNT* for 2 weeks only! WHY is it named: "Union28"? oh my gosh--i love what you BOTH are about!! thanks for introducing me to Union 28!! 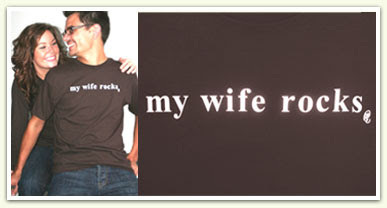 I love the My Husband/Wife Rocks shirts! Very cool!! Thanks for the information! Ordered from the site, but wasn't really impressed with them. Only a few designs and they sold out of the one that I ordered so they called me and changed my order. Kind of disappointed.